The coyote (Canis latrans) is widespread across Canada, and is listed as a species of least concern on the IUCN redlist of threatened species. Local control temporarily reduces numbers on a short-term basis, but coyote populations are stable or increasing in distribution as humans continue to modify the landscape. 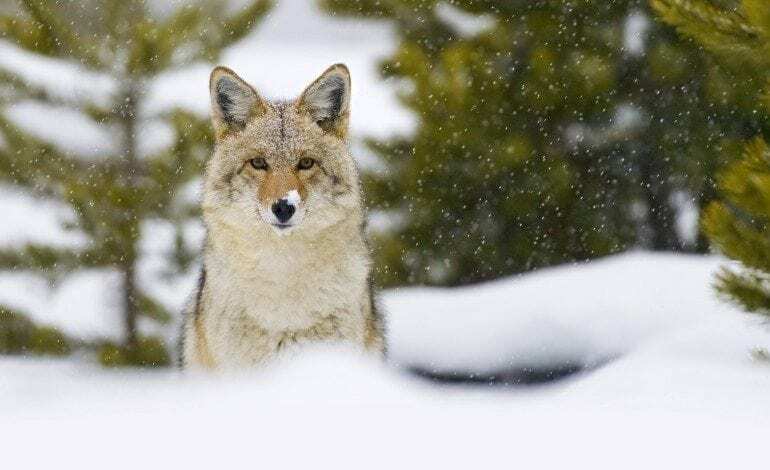 In parts of the country reported coyote sightings and human-coyote conflicts have been trending upward in both rural and urban areas. Coyotes, opportunistic predators, thrive in almost all available habitats including prairie, forest, desert, and mountain landscapes, as well as urban areas. Population density in different geographic areas varies depending on season, but averages between 0.01 to 2.3 animals per square kilometre. Provincial and territorial governments regulate the management of wildlife species, including coyotes. Canada endeavours to manage coyotes under the sustainable resource management approach advocated by the IUCN (World Conservation Union). The coyote is included under the Agreement on International Humane Trapping Standards, which sets out welfare thresholds for trap performance requirements. Canada fully supports conservation controls on international trade, such as those required under CITES (Convention on International Trade in Endangered Species of Wild Fauna and Flora). Coyotes will continue to be hunted for social and economic reasons, as well as in response to human health and safety and conservation concerns. The utilization of the coyote pelt helps to offset management costs and supports local communities.